Sberbank Serbia recorded a profit of 323 million dinars in the first quarter of 2016. The deposits posted in the bank had the highest growth of 10.456 million, which is 46% more than in the same period of the previous year. “The positive business result shows that our business model brings success. At the time of weaker economic activity the bank has achieved growth of retail deposits of 46% and the stability of loans. Building long-term relationships with clients, responsible risk management policies and further development of services in the area of ​​digital banking will continue to be the focus of the bank”- said Valeriy Ovsyannikov, Chairman of the Executive Board of Sberbank Serbia. In the first quarter of 2016. 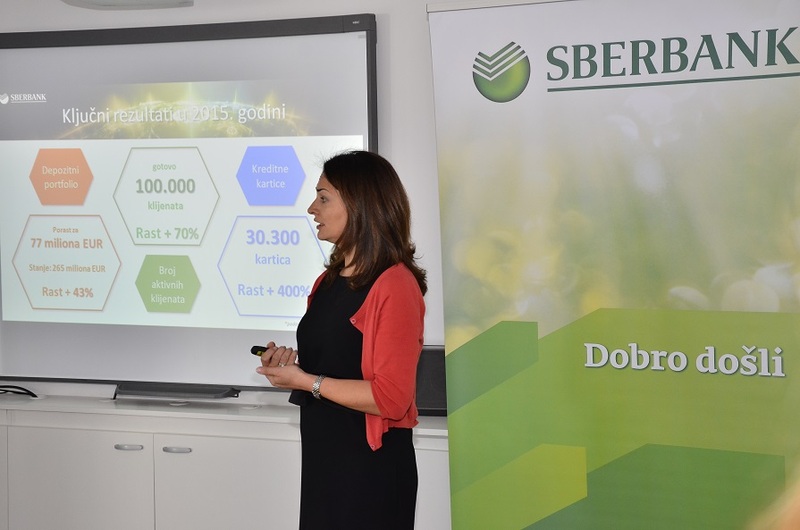 Sberbank Serbia introduced to the market new products aimed at the population and the economy, at a much more favourable interest rates and repayment periods. Taking into account the liquidity and stability of the market economy, Sberbank presented a new product, Spectrum line of credit, which gives the ability to use a variety of products for a period of six years. Introduction of the dinar-based Super loan was intended to population, which provides the ability to raise cash or to refinance existing obligations amounting to 3,000,000 dinars, with a maturity of 96 months and the lowest interest rate. Super loan is the most favourable loan offer banks.